St. Mary’s Church, Hobs Moat was consecrated on 24th June 1967 by the Bishop of Birmingham, Leonard Wilson, which meant that in 2017 we will be celebrating the 50th Anniversary of that special occasion. On the weekend of 24th & 25th June, we celebrated the anniversary of this very special occasion. 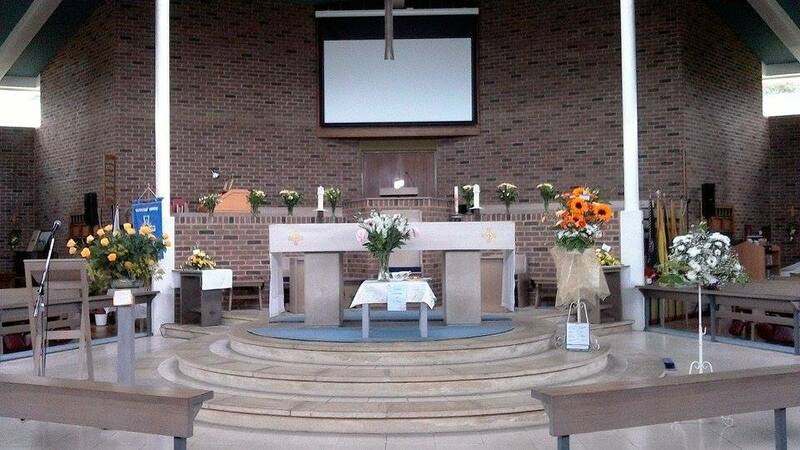 The celebratory weekend started off with the opening of our Flower Festival. 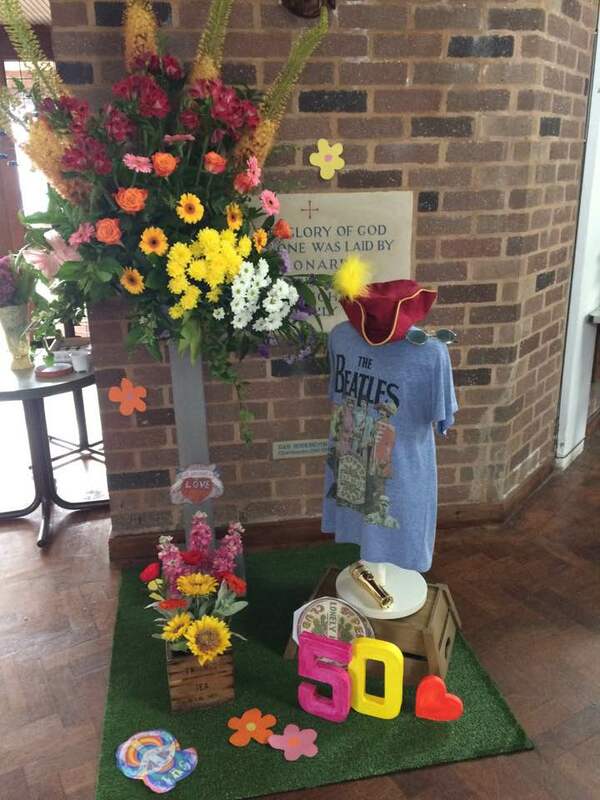 We were lucky to have a large variety of arrangements provided by parishioners, local churches, local businesses and floristry students. 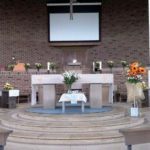 The different themes ranged from the activities in the church, such as Knit & Natter’s fully knitted arrangement, decades including the swinging 60’s and 00’s, as well as a modern arrangement with a lit-up globe and church, and many traditional arrangements as well. 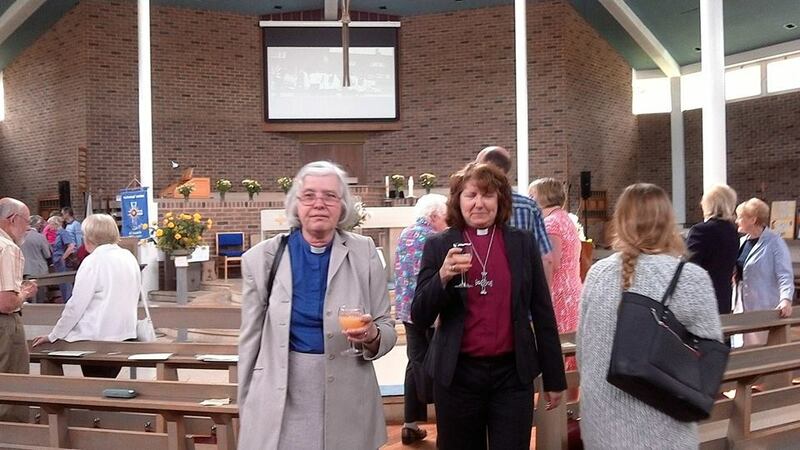 Then followed the service of thanksgiving presided over by Bishop Anne, Linda and Sue. We were also delighted to welcome the mayor of Solihull, Cllr Stuart Davies. Such an uplifting service with a fantastic body of voices supplied by the choir of St. Mary’s, Moseley (led by Mick Perrier). Bishop Anne gave a wonderful sermon reminding us to recommit to being the centre of the circle; the centre of the community. 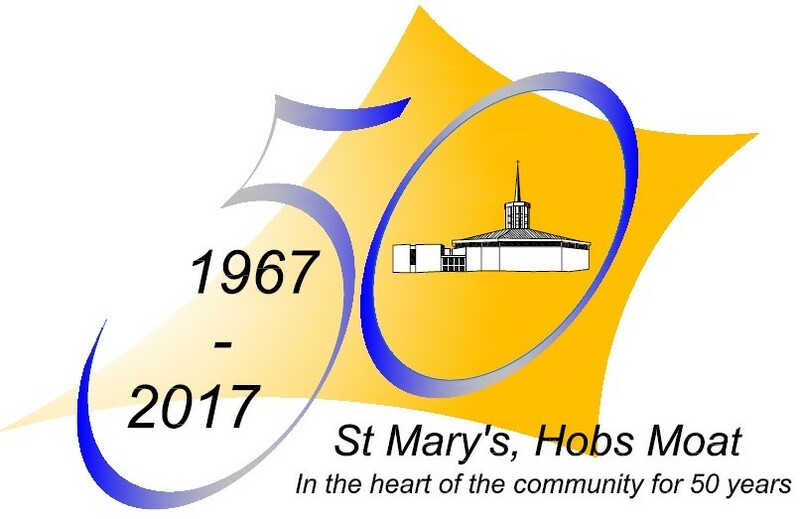 There was also the reminder that the church began in the building that is now the church hall, and that St. Mary’s has actually been at the heart of the Hobs Moat community since 1957. 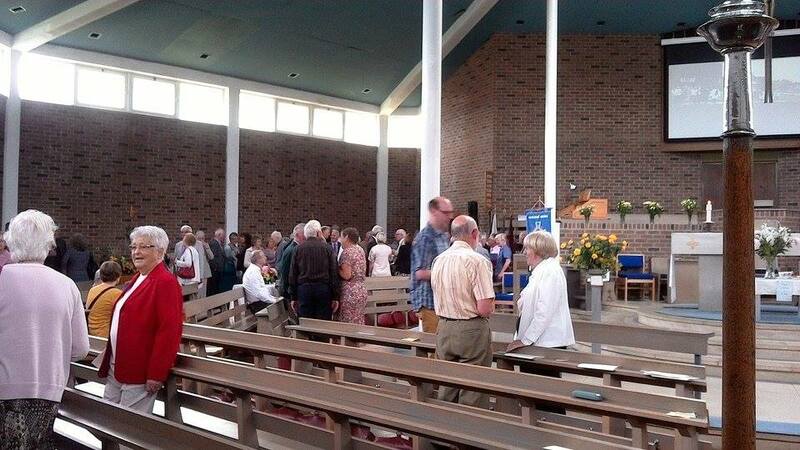 We were delighted to see many old faces who made long journeys to come and celebrate with us; Rev. Peter Roe, Rev. Bill Moore, Rev. Mark Jackson and Rev, George Hodkinson, Peter and Pat Walker, Chris and Roy Mullins, Anne and Howard Jackson, Brenda and Maurice Burton, Mike and Audrey Smith, to name but a few. There was a chance to catch up after the service over a glass of bubbly and slice of birthday cake. 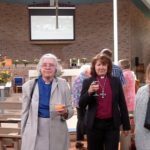 On the overhead projector, a fascinating slide show played, with clips from the original dedication service as well as photographs from various events over the last 50 years. 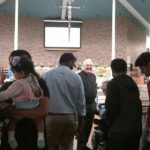 The following day, the Hermon Marthoma Church ( who use the church building after our 10 am services ) joined us for our 10 o’clock service. 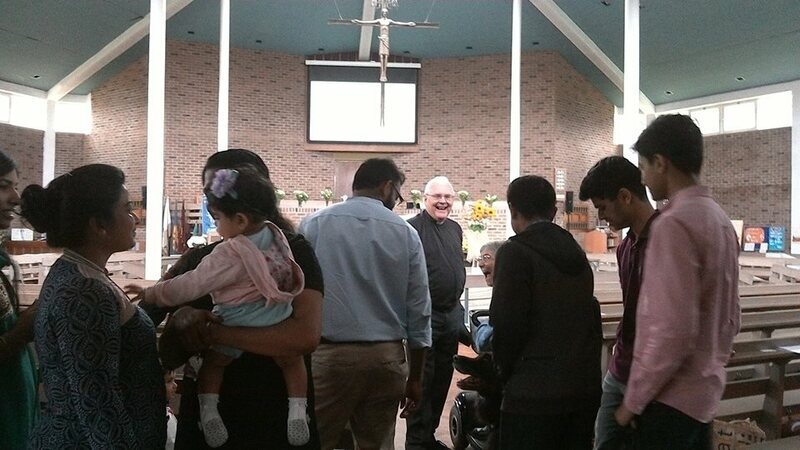 It was a pleasure to welcome them to our service and be able to share worship with them. 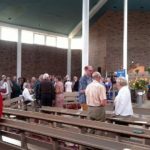 The celebrations came to an end later in the day following the cream teas served in the church. There were some wonderful musical interludes during the afternoon, with Consort Brass Ensemble playing. There were more familiar faces too, with Rev. Adrian Leahy and Caroline among the many visitors. It was a lovely sight to see; lots of people chatting, walking around looking at the flowers and enjoying the delicious jam and cream scones and cups of tea. 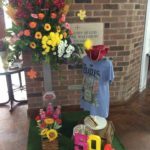 It was, as Eileen Knight’s flower arrangement simply said, “50 years of friendship at St. Mary’s Church”. A huge thank you to all who made this weekend such a wonderful event. There are too many to name individually, but everyone who played a part, no matter how small, contributed to a memorable and fitting celebration of our church. Here’s to the next 50 years ! Copies of the the projection that was shown in church over the weekend are available to buy on DVD at a cost of £5 per disc (plus p&p). To order a copy, send a message to us via our Contact Page.